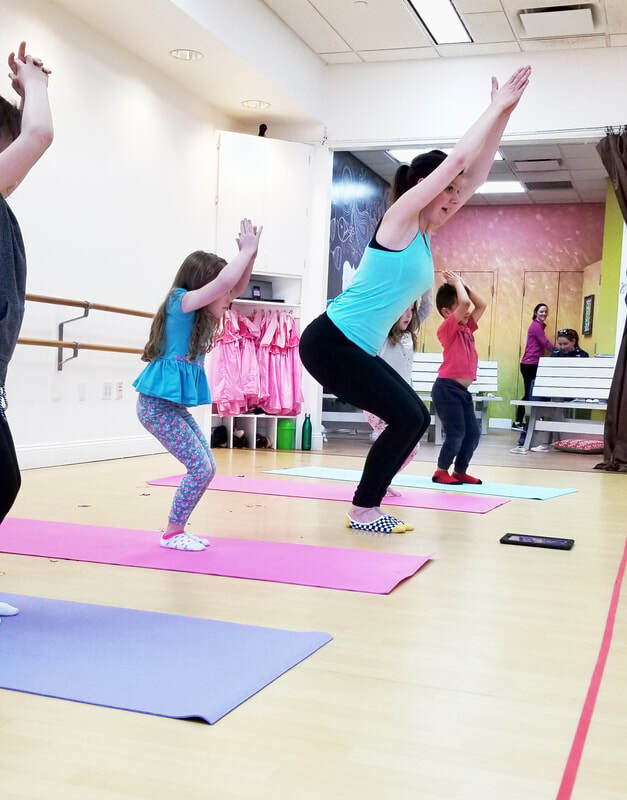 Get your kiddo moving with Bella Buddhi! Our young yoga enthusiasts will learn traditional yoga poses through storybook themes. Each week, our journey introduces us to a new friend and during our exciting story we will help the character through a challenge. Our kiddos become the hero of each story as they practice modified yoga poses perfect for their growing bodies. Bella Buddhi classes are a fantastic way to explore common issues such as communication, bullying, acceptance, frustration, anxiety and honesty by integrating yoga postures into exciting adventures like trips through the jungle, exploring a sunken sea ship, journeys around the world and even a magic carpet ride! This non-stop action class provides just the right amount of a physical workout and mindfulness, often incorporating 20-30 poses. Join us for Bella Buddhi classes where yoga and stories can teach and inspire! Appropriate for Ages 2.5-4 Years and 4-8. Younger age group allows for one parent to participate if needed. *Sunday 11:30am and Monday at 9:30am are the younger age group. When registering online, payment for the session is made in full. To take advantage of monthly payment installments, please call to register!